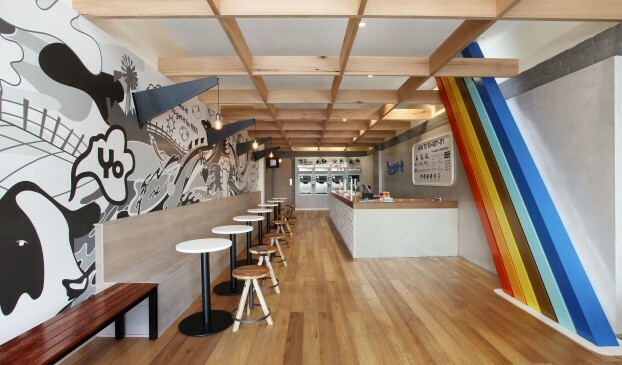 With a growing following in Melbourne, Yo Get It was looking to expand across Australia and partner with a company who could bring their vision to life. 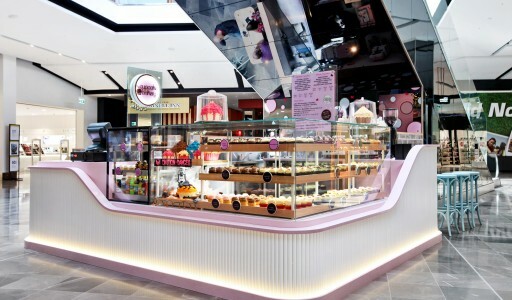 This fun-filled, funky urban take on the latest frozen yogurt trend stands out against the crowd of slick, white colourful looking competitors who seem to have no real point of difference. Phrases like ‘Yo choose it… Yo Top It… Yo Guess It…’ add to the thrill of the self-service and pay by weight concept they deliver. 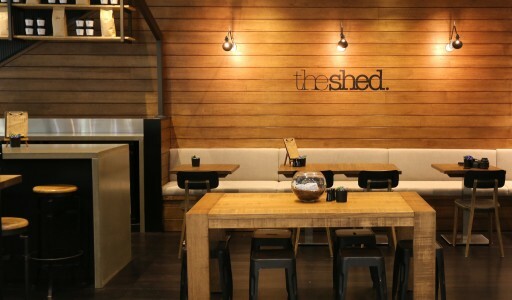 This ‘street style’ has been brought to reality by Design Portfolio with the use of raw-looking materials, graffiti stencilling, timber and whimsical graphics across their stores and kiosks. 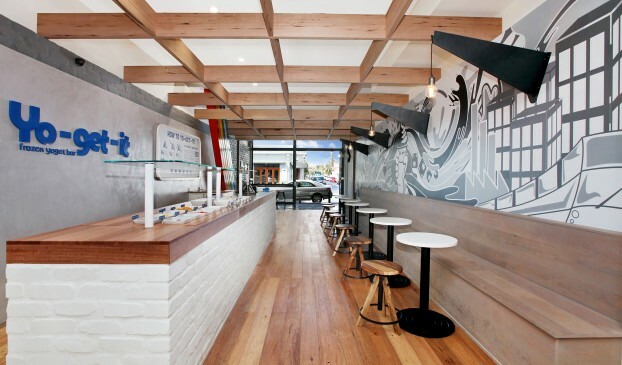 Their aim is to become the largest and most popular frozen yogurt bar within Australia.